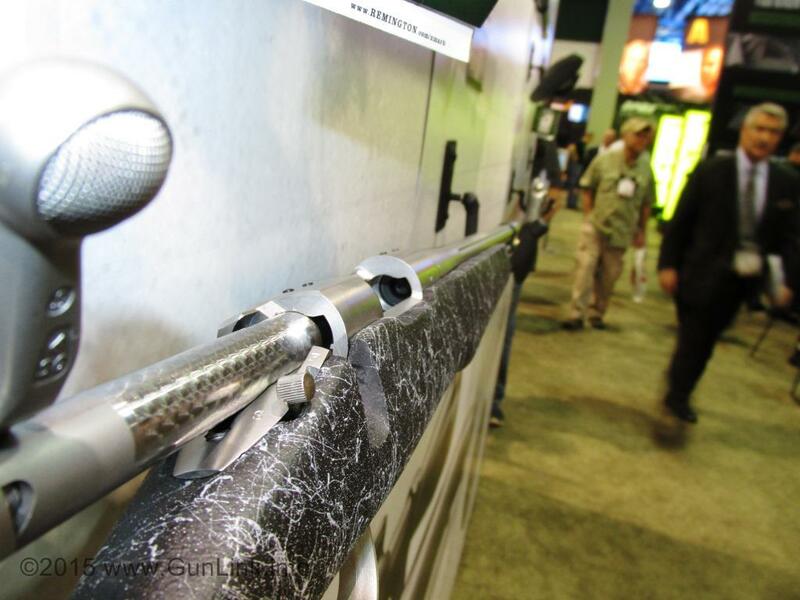 Based on the Remington 700 bolt-action, the inline UML is a true magnum – capable of handling 200 grains of powder, making it an accurate 300-yard rifle. 250 grain projectiles scream from the UML at 2,400 fps with nearly 3,200 ft lbs of energy. At 300 yards, it is still supersonic at over 1,300 fps, delivering 966 ft lbs of energy. 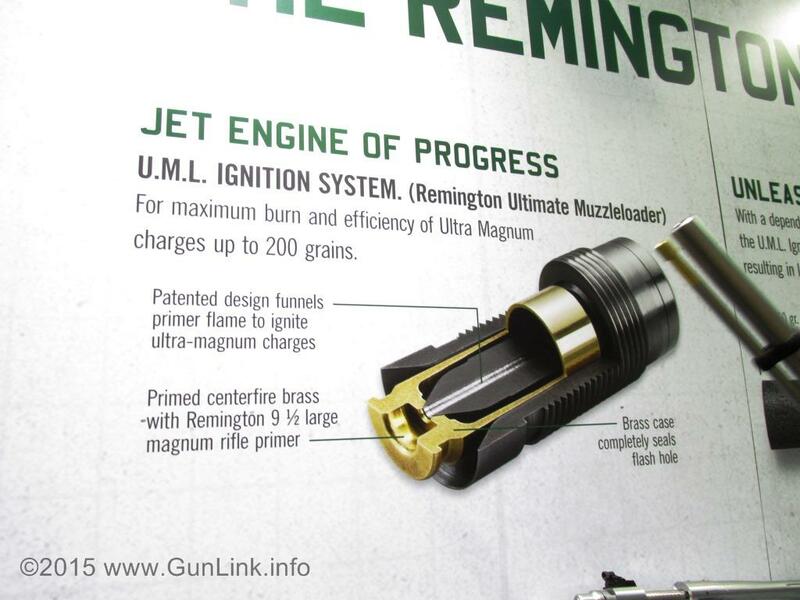 All that powder (and power) is touched off by Remington’s new UML ignition system, which consists of a brass case primed with a No. 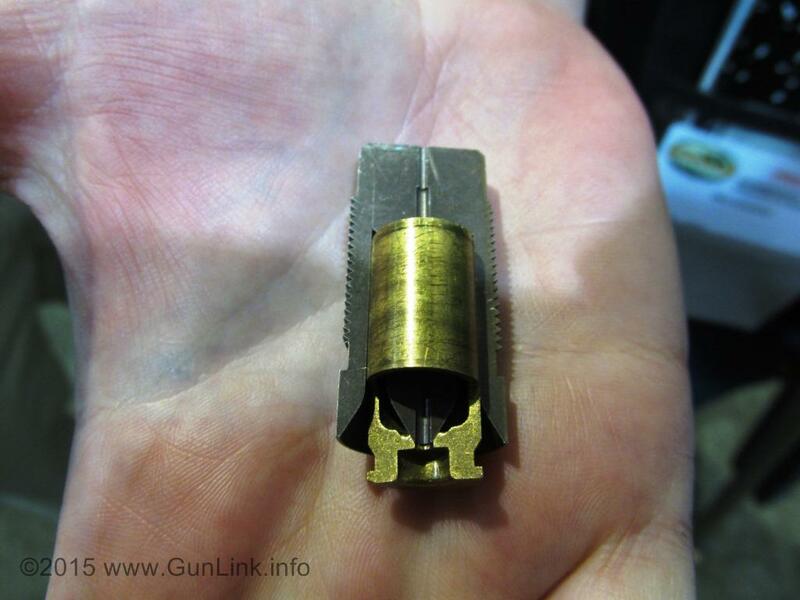 9 ½ magnum rifle primer is fed into the breech plug like a live round would be fed into the chamber of a Model 700. 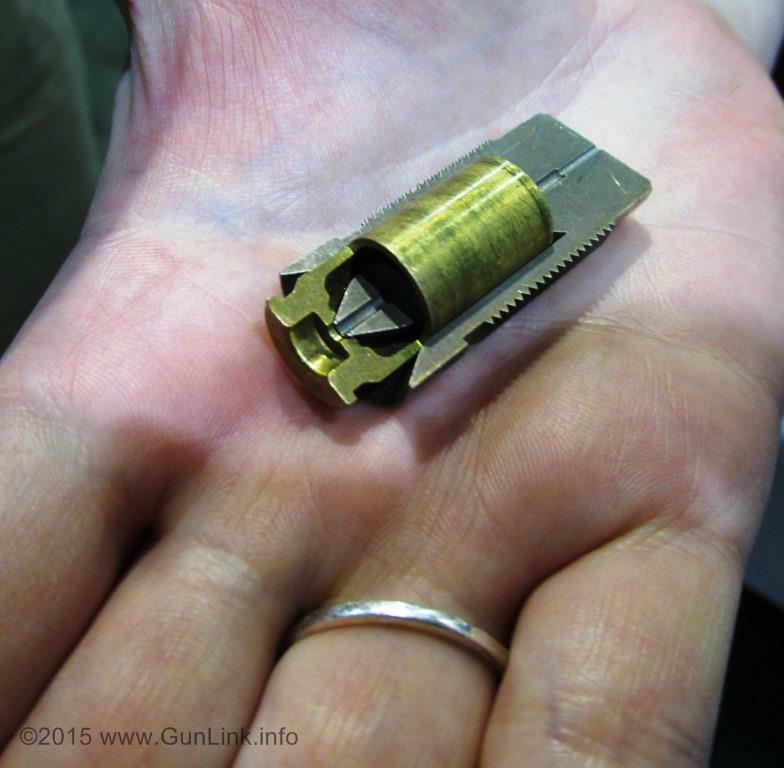 Unlike inline systems that use 209 shotshell primers, since the primer is housed in a brass case, it is also able to be extracted and ejected from the UML’s 700-style action like a spent cartridge would be. Further, booth staff told us that the breech plug is designed not to be removed often for cleaning, since the brass case expands to fill the breech plug, creating a seal that prevents gas and powder from entering the action or the rear of the plug. 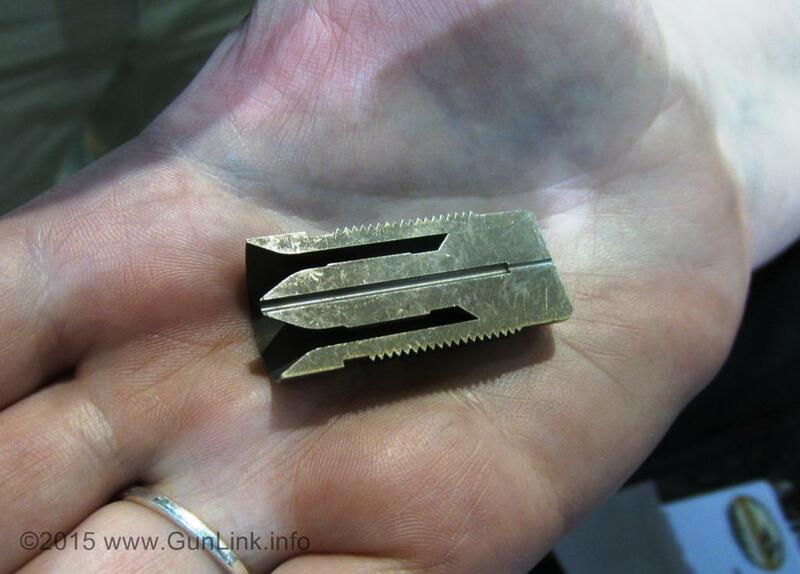 This allows routine cleaning to be done completely from the muzzle end. Inline muzzleloader hunters may be used to fumbling to pull 209 primers from their holders and then struggling – especially in gloves – to seat the primer. Not only does the new UML ignition system make it easier to seat and remove the primer, but the UML takes advantage of the 700 chassis’s floorplate to provide a convenient storage for three of the primed cases. For now, the UML will come in two variants. The first is the $949 LSS model that we handled, which comes in a great looking, silky smooth laminate stock. 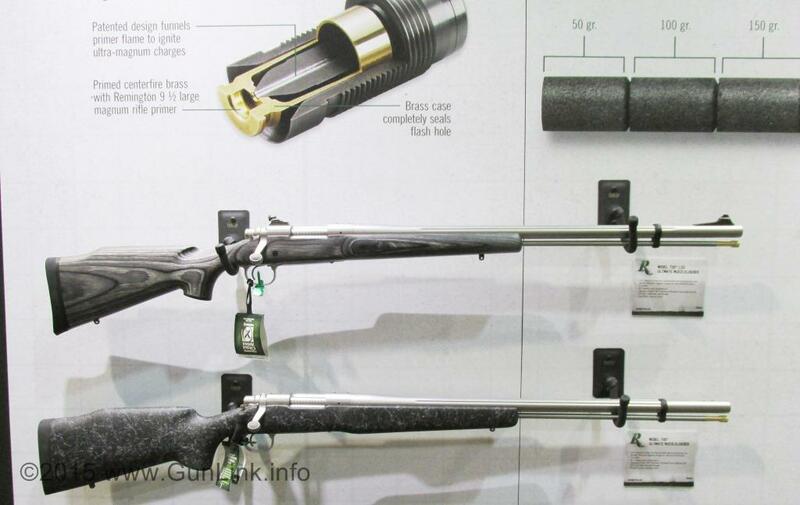 The extra $50 for its sibling gets you a Bell & Carlson Medalist M40 synthetic stock. Both models are equipped with 26″ fluted stainless steel 1:26R barrels and come in a hard case with 24 primed cases and projectiles. were to get one, how much are they,in iowa around masocity,iaor can you buy on line store. 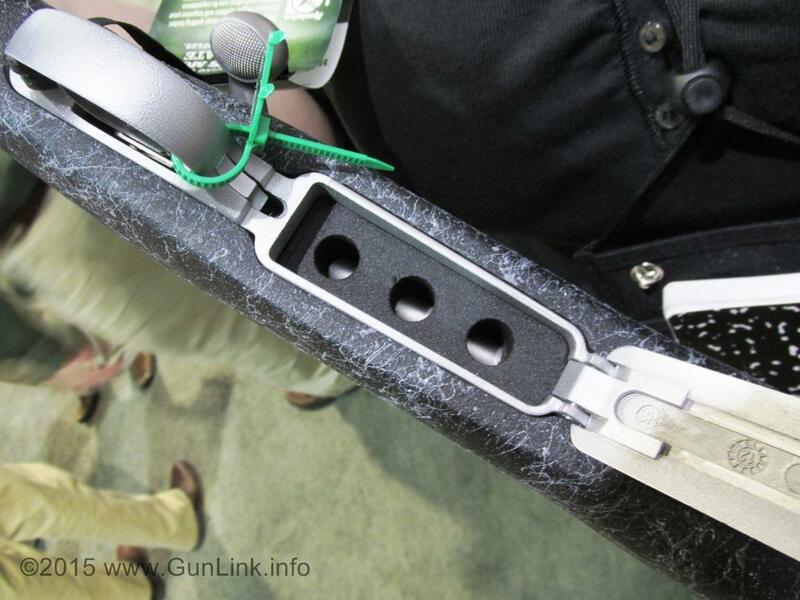 Prices are $999 for the synthetic stock model and $949 for the laminate stock model. This is down from the $1,300 they planned for when they first announced it. Their “Find a Dealer” links are broken, so we’re not sure where to look locally to pick one up.